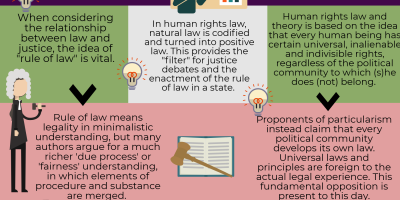 At the EU and national level, the institutionalization of justice in law is the result of political and social mobilization processes, as well as of interactions and tensions between different levels of governance. This subproject investigates, theoretically as well as empirically, whether and how different conceptions of justice are incorporated and practiced in overlapping European legal orders. 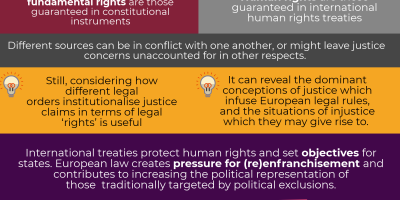 It examines how the legal systems of the EU and participating countries protect and balance different types of rights and how the various conceptions of justice institutionalised in law integrate marginalised populations. It also investigates the mechanisms that generate unfair treatment. The project therefore scrutinizes the relevant balancing mechanism and analyse the procedural dimensions of their application. It explores the capabilities of various actors to activate or challenge the law in their pursuit of justice. The studies conducted within this subproject adopt a comparative and interactive approach, which includes research on both the European level (European Union and Council of Europe) and national level, and explores the transformative nature of their interactions. 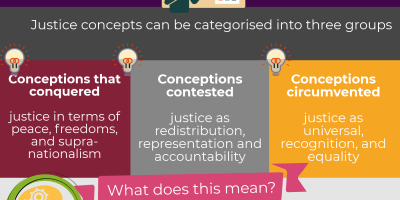 Within the context of the wider ETHOS project, deliverable 3.3 examines how the conceptions of justice as representation, redistribution and recognition permeate the European legal order(s) in the rights to vote, housing and education. It seeks to achieve these tasks on the basis of a literature review of relevant theoretical debates and legal desk research in relevant international and European law. It does so in four main sections. 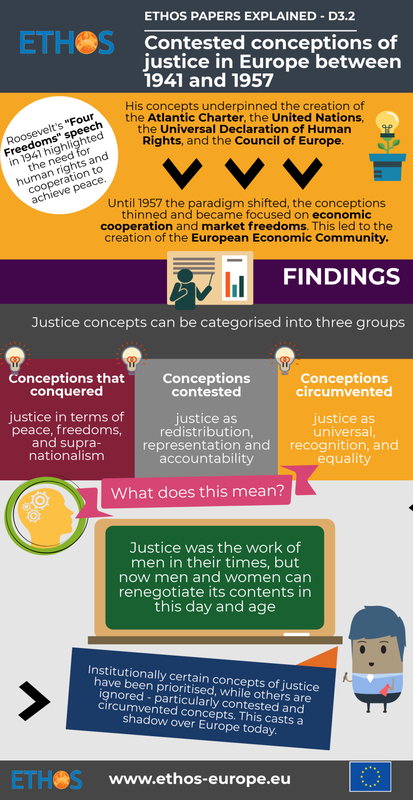 This Working Paper contributes to the overall objective of formulating a European Theory of Justice and Fairness by concentrating on the conceptions of justice put forward, codified and side-lined in the early years of European formation. It takes a social constructivist perspective, focuses on the key actors involved in negotiating justice, the moments that mattered most and their geo-political background during and after the Second World War. The analysis is thus based on archival materials as well as secondary sources. This report attempts to give an overview of justice in legal theory delineated by its purpose to explain non-lawyers how lawyers frame and perceive justice concerns in their discipline, to explicate the kind of screen through which law or lawyers approach justice issues. 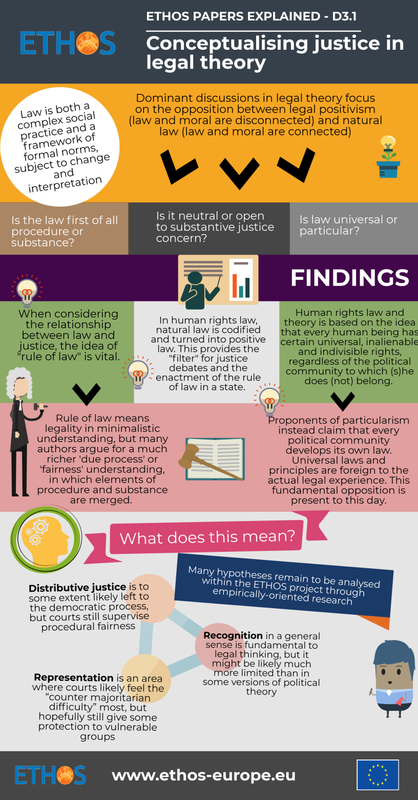 It therefore focuses on those legal disciplines where issues of justice are most salient, in order to provide an overview of “justice with a legal flavour”.